Green Circle™ chicken is available exclusively at D’Artagnan. This heritage-breed, free-range chicken is certified humane by Humane Animal Farm Care, raised without antibiotics or hormones, and fed actual vegetables collected from commercial kitchens and farmers markets, along with grains. The diet and the care taken on the farm give these birds a unique, old-fashioned, real chicken flavor. 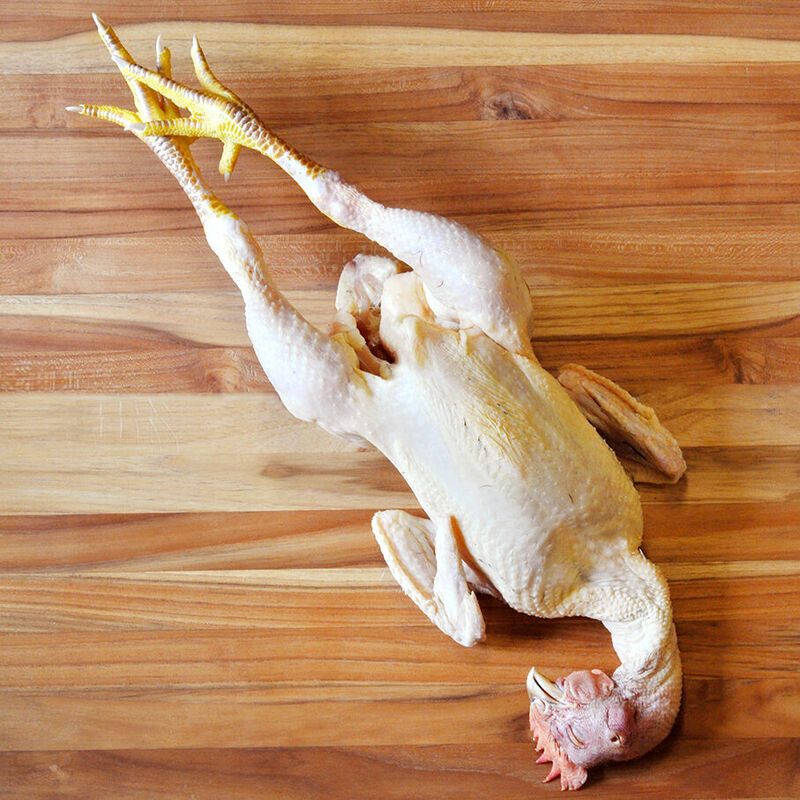 Our heritage Green Circle chicken is air-chilled, and comes with heads and feet on, perfect for making chicken stock. Our exclusive Green Circle chicken is raised by a network of small Amish and Mennonite family farms in Pennsylvania, and certified by Humane Animal Farm Care. The chickens eat a diet which includes clean surplus vegetables from markets - bruised, cut or otherwise unattractive vegetables - along with cuttings and peelings from restaurant kitchens and grains like corn and soy. Green Circle chickens enjoy more than twice the barn space required to be considered free-range, they have access to the outdoors and the ability to forage naturally, and are raised to 8 weeks of age, as opposed to 5 or 6 weeks, which is standard for commercially-raised chicken. Green Circle chickens are air-chilled and hand processed in a low-volume facility near the farms where they are raised.